A gift of roses is always tried and true. 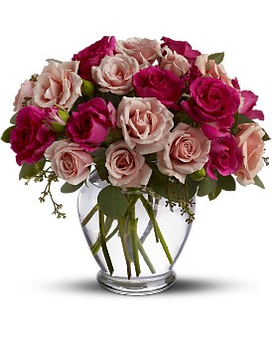 Say "Thank you" or "I'm thinking of you" with a gift of sweet-smelling miniature roses in enchanting shades of pink. This petite, pretty bouquet is sure to be a guaranteed hit.